Hey all! Kat here with a little post to hopefully inspire you to run out and buy Libby's newest kit, Ace In The Hole. Seriously, this is one of my absolute favorite kits! I can see myself making a lot of pages with it - trips to Reno, Bunko night with the girls, and even more pages about my two rough and rowdy boys. 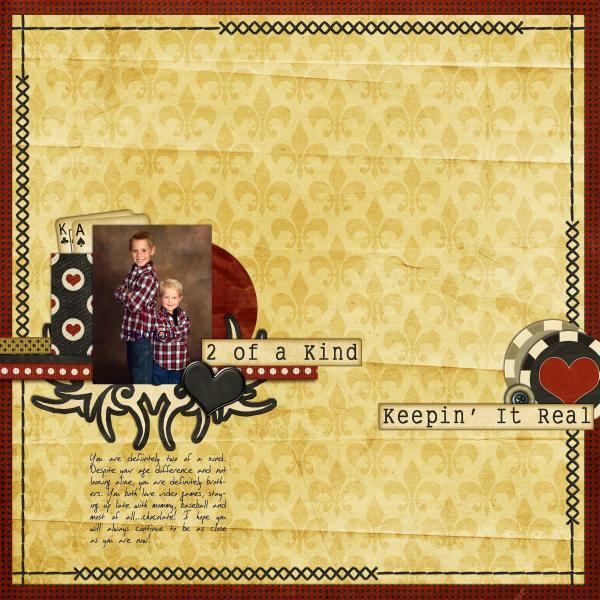 I hope you all will come back here and share your favorite layouts made with Ace In a Hole!